The study, by Stanton A. Glantz, Ph.D., director of the UCSF Center for Tobacco Control Research and Education, is published April 12, 2019 in JAMA Network Open. Good to know a 1% reduction in smokers would save Medicare 0.004% of overall costs. But what the PhD forgot to quantify is the cost to Social Security of those folks' surviving longer. It might be cheaper to leave them alone, if we are only talking $2-3 billion in savings to Medicare. Huge cost savings could be achieved by arranging with facilities in Latin America to care for the dying tobacco addicts. I have been saying the same thing for years, smoking kills early saving the government money. If you don't smoke elderly healthcare costs mount up quickly as more and more lifesaving drugs increase lifespan. This is just another example of propaganda disguised as science. Care of elderly - would you call that JOBS??? "Care of elderly - would you call that JOBS???" Yes and this care is much needed. The problem is paying for this care. In reality the US financial system is bankrupt and printing money to cover spending works until it doesn't and then runaway inflation sets in. Does that sound preferable to " let's let the cigarette companies place a surcharge on everyones healthcare " ? The TRUMPH administration NOW clearly has stated that deficits do not matter - and all that need be done is to give the wealthy a bunch of money and everything will be alright. For the most part - aren't those taking care of the elderly ( nursing home owners ) the wealthy? Dear MR166 - Your problem is the total ignorance you display, - smoking rarely kills after the first cigarette - you really need to invest a lot - of time, effort and MoNeY usually to get the result you are looking for, often at an advanced age, after a lot of suffering and spending on the miracle treatment. Of course You might have found a kindred spirit in Hitler, and maybe Trump - although Trump appears to prefer taking effective health care from numbers of well intentioned folks who have through no fault of their own managed to "find" one of the 12,000 diseases we know of. GZ I am not pro smoking but I am pro truth and the truth is what I demand when PHDs accept grant money to do research. Far more would likely be saved by outlawing fast food. Easy solution: just reduce the benefits to smokers by $2.6 billion. Perhaps. But I think you're right - benefits should be meted out based on how well people take care of themselves. Fat, sedentary, addicted, ill-nourished individuals with life-threatening conditions they dont bother to take care of such as HBP, should not expect society to do it for them. There are already 'death panels' that refuse transplants based on lifestyle. No reason not to expand the concept based on general irresponsibility. You mean like secret courts and govt agencies used to spy on private citizens and concocting fake dossiers for political purposes? "Chuck Todd: "We're Not Going To Give Time To Climate Deniers""
"11 times speakers were shouted down by leftist protesters this school year"
"Police have arrested the man they say punched a conservative activist at UC Berkeley"
For all the history-ignorant, nazis were a RESPONSE in kind to the comintern cells breaking out all over Germany at the time. The only way to stop Soviet aggression was to turn the entire country into an army. Germans succeeded in saving half their country and most of western europe from communism. And perhaps the world. So let's not do any research into life style changes that would increase life expectancy - cuz MR does not want to incur more costs. Wonder if MR has calculated the cost of cancer, COPD, emphysema, and all the other diseases that is caused by smoking (the point of today's article.) Then MR could do a critical cost analysis, and determine the cost advantage/disadvantage of smoking. Then MR could write a policy proposal for the ministry of smoking - in his fascist state utopia. "Recommendation to the minister of smoking - regarding the optimal smoking requirement for all citizens of utopia." This is so bogus. We have much less smoking, much less heart disease, we have vaccines, we have better cars for less car injuries, we have much less pollution, everything is safety designed now, and yet health care costs have sky rocketed. So IF the overall cost of driving a car has increased, and most people are already changing their oil regularly - it would be 'bogus' to argue that if the remaining people started to change their oil regularly - that would save cost!!!!! -Because healthcare is working, prolonging lives, treating successive maladies that would have killed people in the past. Smokers need treatment earlier and for longer periods of time. Ya know, I think this is something else we can pin on religion, the evil distillate of tribalism. Tribes are by nature exclusivist, with preferential treatment for members. Religions promise special dispensation for believers. Liberals have replaced god with govt for their own tribe, and promise that govt can and will fix everything. So people will tend to be less responsible in caring for and taking care of themselves, expecting the govt to fix their mistakes with unlimited resources. And their liberal leaders are only too happy to promise them this in order to get themselves elected. But it is religion that seated this concept in their minds, of an all-powerful entity that could fix their ills if they remained faithful. Sin at night, repent in the morning. As hitchens PBUH used to say, religion poisons everything. "Bernie Sanders' 'Medicare-for-all' plan includes health care for illegal immigrants"
But the Obama and Bush administrations said they do matter? LOL, NO! 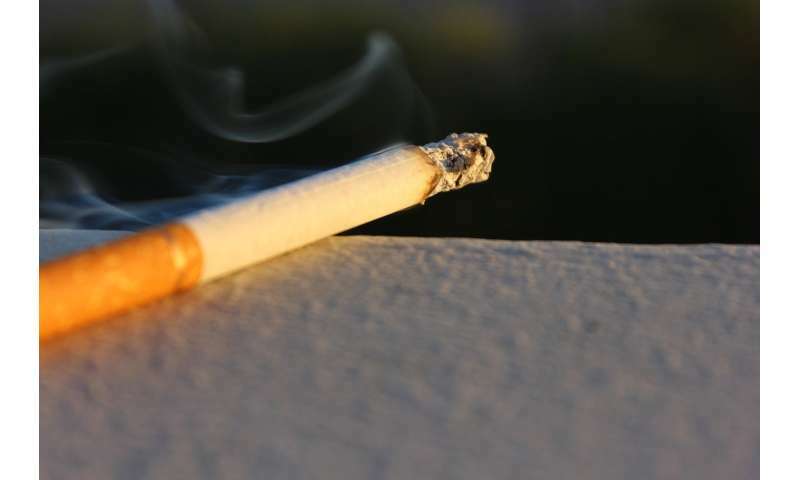 The seeming incongruity that those in Japan smoke more but have a lower lung cancer rate than the United States, is known as the "Japanese smoking lung cancer paradox." The debate is not about smoking since we know that smoking causes lung cancer. The debate is about why Japanese (and other Asian) smokers have a lower incidence of lung cancer, even though they smoke more. But the Obama and Bush administrations said they do matter? But promises do matter - and people being willing to accept lies - is a big problem. in March 2016, he told Bob Woodward that he could get rid of the debt "fairly quickly." When pressed, he said, "Well, I would say over a period of eight years." "So let's not do any research into life style changes that would increase life expectancy - cuz MR does not want to incur more costs. " Where did I say that Onions. I was just disagreeing with the findings in the paper. I am all for medical science. If one is rational one understands that SS and medical costs are bankrupting our country. I do not see and answer to the problem. Clearly you are arguing against making good life style choices - as this will increase healthcare costs. I do. A health care system that is about providing quality health care - at a reasonable cost, instead of a for profit system that is focused on making millionaires out of a small number of people. Plenty of countries around the world to look at. Try Sweden. Onions why don't you go to Great Brittan as a 70 year old and try to get a government funded triple bypass. Do you realize the stage 1 breast cancer is not treated there? You have to wait until it progresses before they will treat it. Also our hospital costs are high because a LOT of illegal immigrants use emergency rooms as their primary care and never pay. Add to that outrageous legal settlements and costs skyrocket. MR - I am fully aware of the drawbacks to the NHS system. My family lives in England - and I talk with them regularly about it. My quality of care here in the U.S. is FAR superior to the care I would get in England. I would really like to move back to England - and spend the remaining years of my life there. The NHS is one of the big stumbling blocks for me. It is typical of your inability to think in more complex ways - that you have to bring up the NHS. England is in a mess. What I am saying is all the ideas of people who want to control other peoples lives were wrong. Social Engineers have been wrong. More social engineering is only going to make things worse. This is a good idea. Go with what works in culture. No, the debate is about eliminating this addiction to dirt, this murderous disease. You talk like a smoker who is desperately trying to rationalize his addiction. It kills japanese just like it kills everybody else. The only way to save your life is to put it down, NOW, and never pick it up again. Let's face it guys and gals back when SS and medicare were first designed they were marginally budget neutral. You got to collect SS when you were 65 and that just happened to be the average age of death. Medicare came much later. Since then life expectancy for seniors has skyrocketed due to healthier life style and medical advances. I would venture to guess that on average it costs everyone the same amount to die and the costs between 65 and death are the big variable here as far as government expenses go. Thus the earlier that you die the less it costs the government. That is why this senior citizen is calling this PHD a bs artist.